« Does Harvard discriminate against Asian-American applicants? My perambulations around this lovely town continue, but I’ve little time to post and so I may have to catch up on the backlog when I come back to the U.S. I’m also keenly aware that most of the pictures so far are about food, but that’s only because I’ve spent more time sitting in restaurants than touring museums and sights. 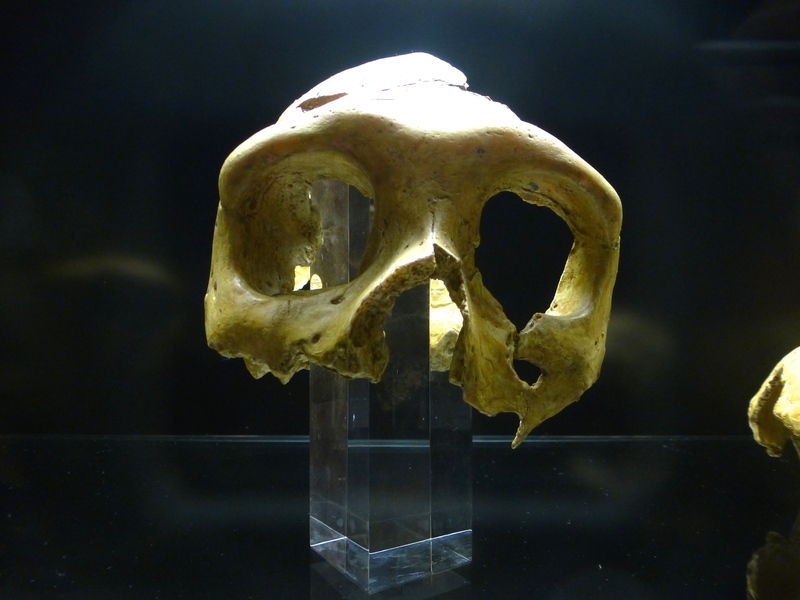 That will change, though, as I’ve several sights to see, including the Museum of Natural History, where I’m told I’ll be shown actual Neanderthal bones today, and the Museum of Broken Relationships, which I’m very keen to visit. First, though, dinner on Saturday night. 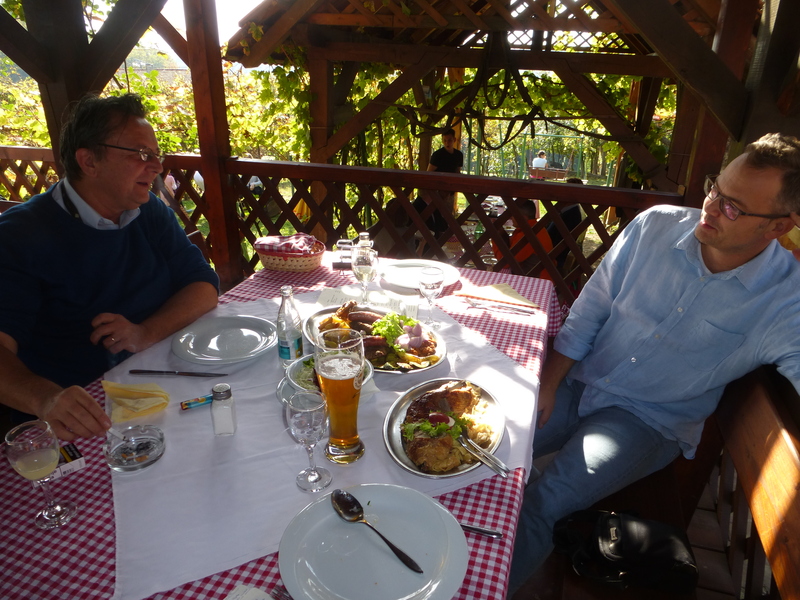 I was already full from a huge lunch, but my generous hosts pressed more food on me. 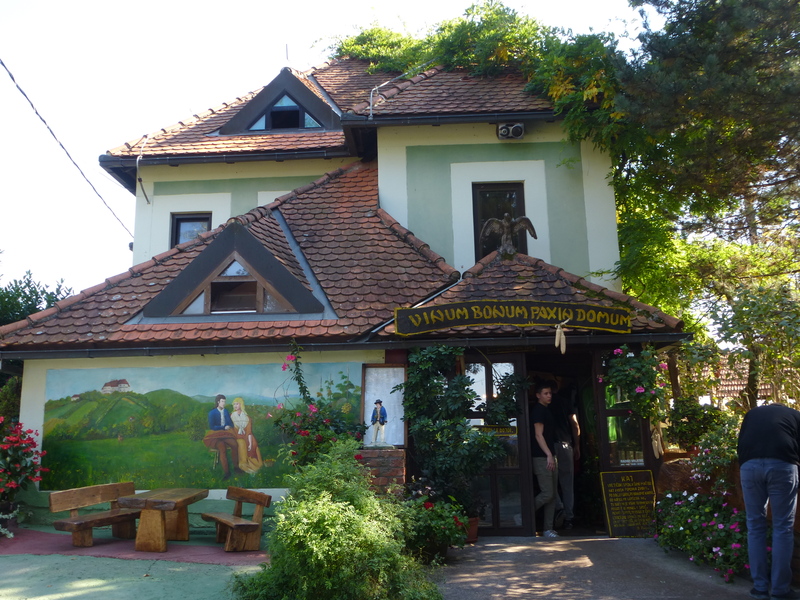 As I requested before I came here, we went to a traditional Croatian restaurant. 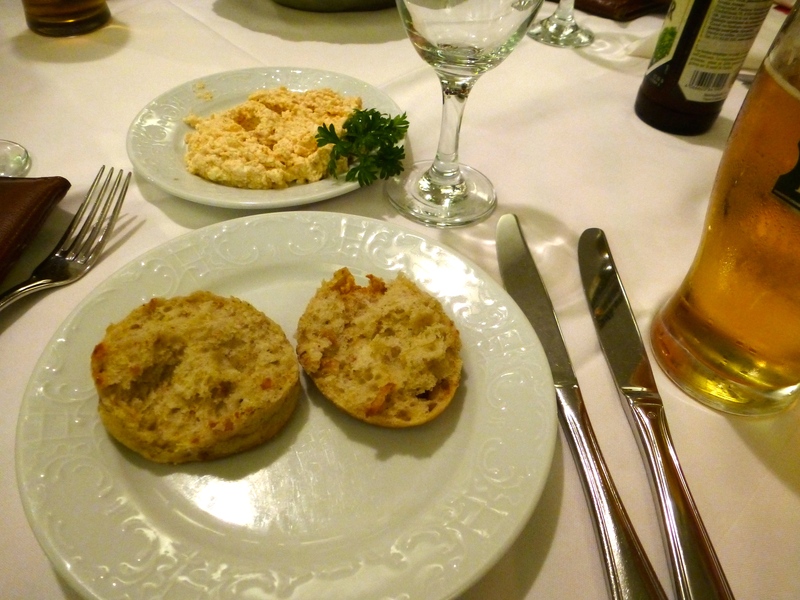 We began with beer (of course), and rolls with a cheese spread. 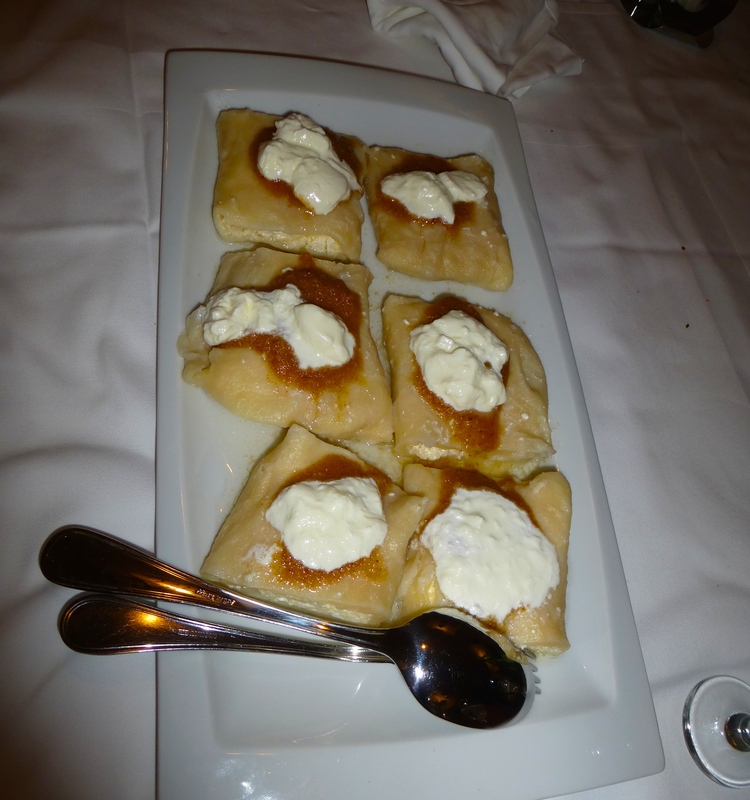 These rolls had pork cracklings and paprika in them (thanks again to Pavel for identifying the food). 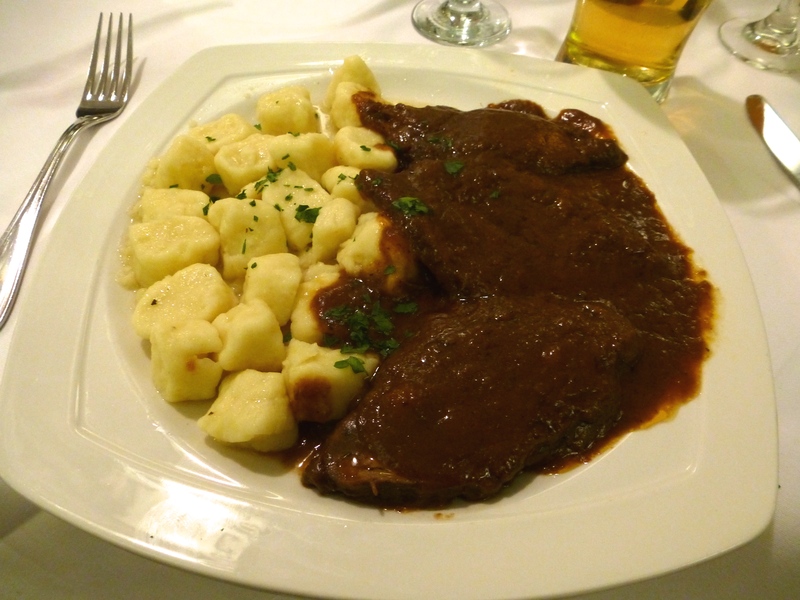 Pašticada is a stewed beef dish cooked in special sauce, popular in Croatia. 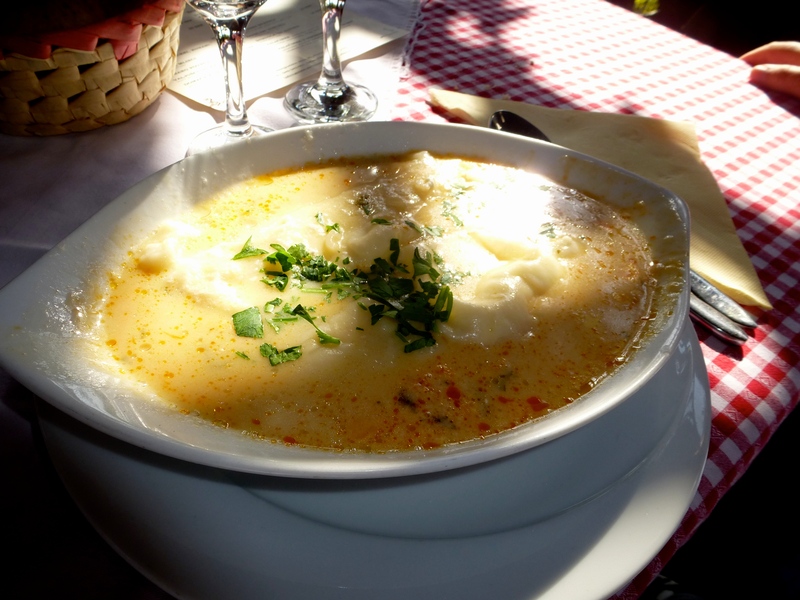 It is often called Dalmatinska pašticada because it originates in Dalmatia. It requires long and meticulous preparation: first, the meat is pierced and stuffed with garlic, cloves, carrot and bacon, then salted and marinated in vinegar overnight. The marinated beef is then roasted and cooked with roasted bacon, onions, parsley root, nutmeg, prunes, tomato paste, water and prošek up to five hours, depending on meat. After cooking, the vegetables are blended into a sauce. 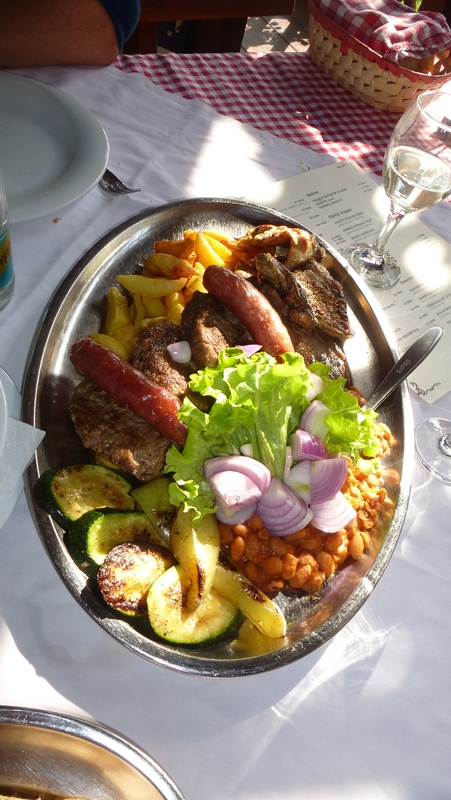 In Dalmatia, it is a meal for important feasts, including weddings. 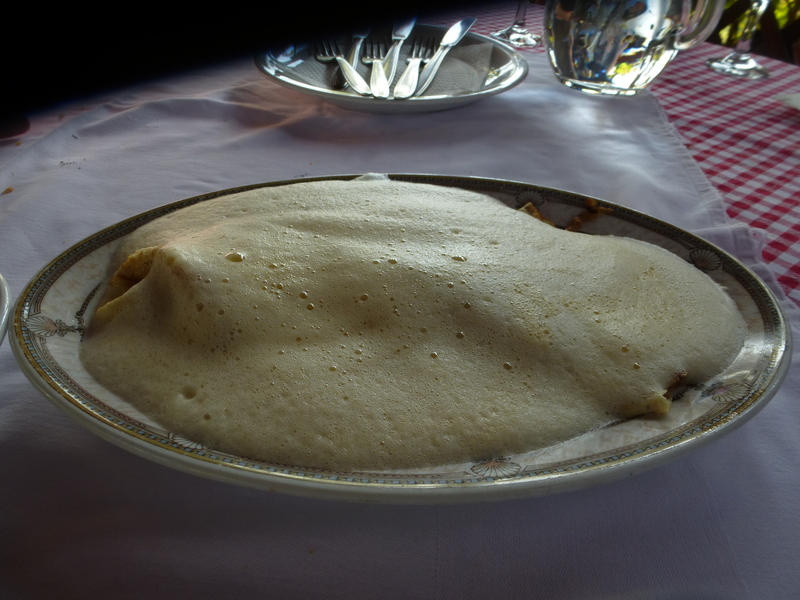 It is usually served with gnocchi or homemade pasta. 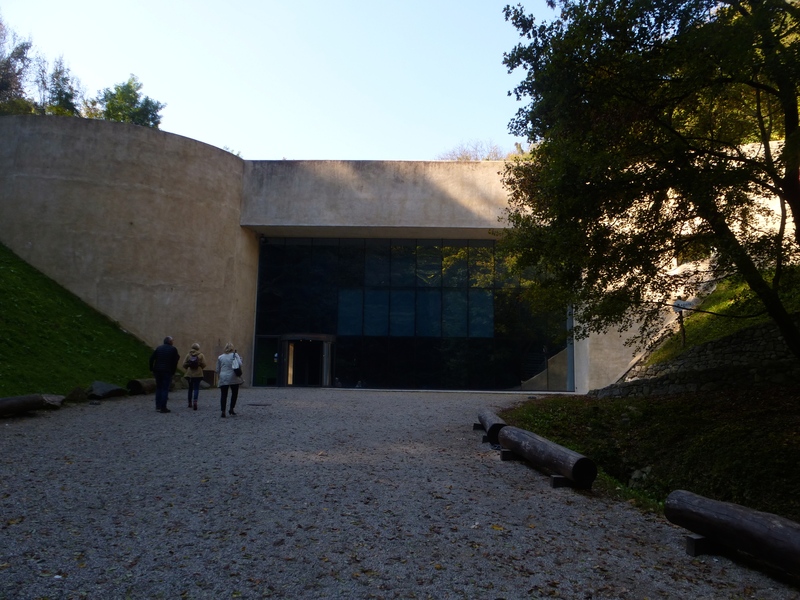 The next day we visited the Neanderthal Museum and site in Krapina, a very important place where, during mining operations in 1899, a huge trove of Neanderthal bones and relics were found. 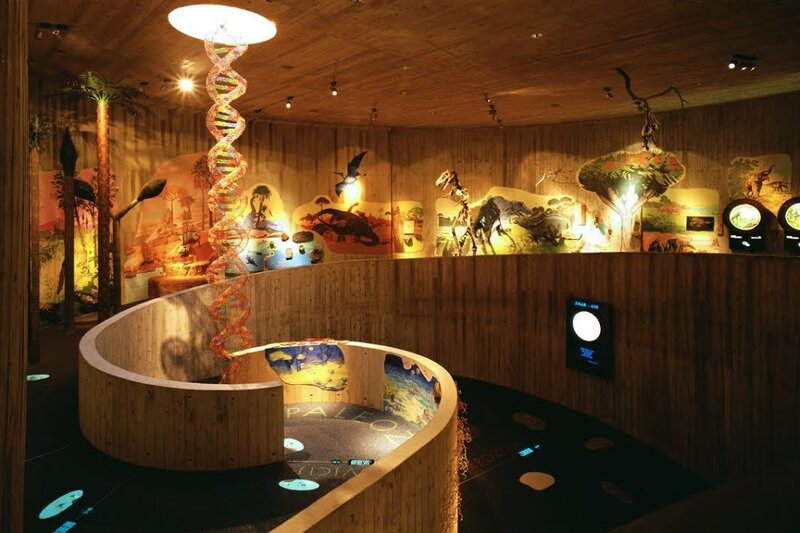 Some of those bones were used by Svante Pääbo and his colleagues to get the first Neanderthal DNA sequence, which of course was important in many ways, not the least to show that Neanderthals bred with “modern” Homo sapiens (I consider the two forms to be subspecies rather than full species). 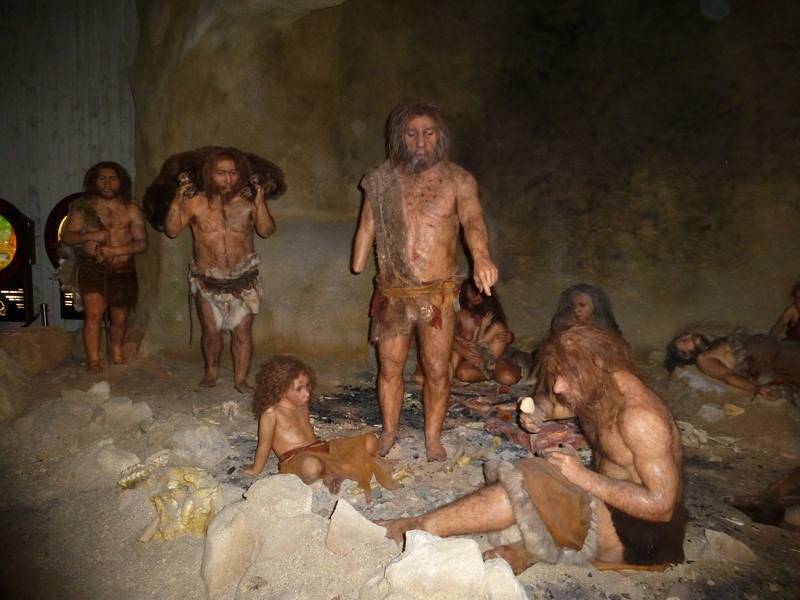 There’s a museum on the site with replicas of Neanderthal bones and dioramas of how they might have lived, as well as a movie and other information about evolution. Here are some shots. 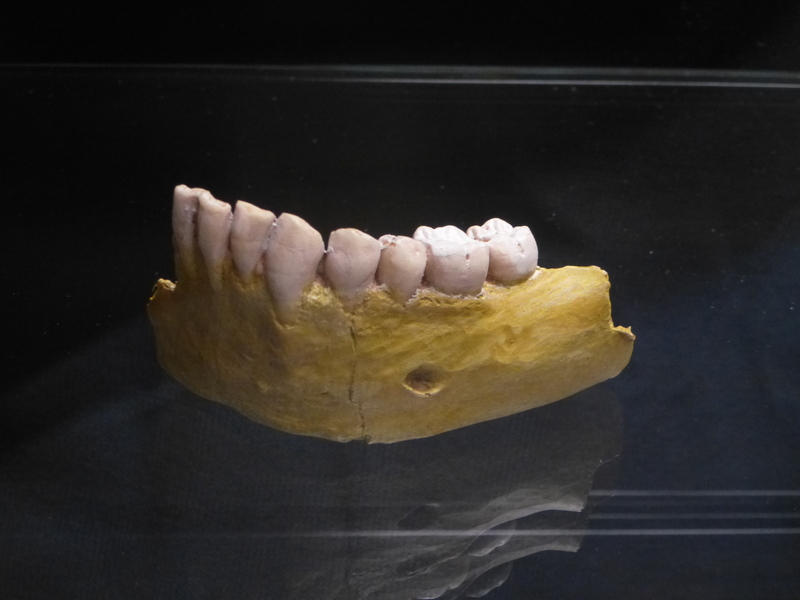 And the teeth, larger than those of modern H. sapiens. 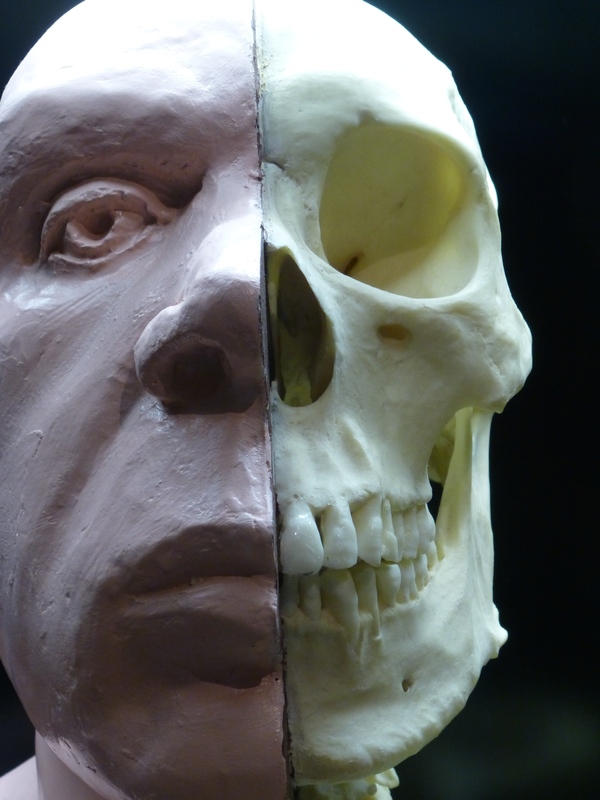 In a few hours, with luck, I’ll get to see real Neanderthal bones instead of casts. 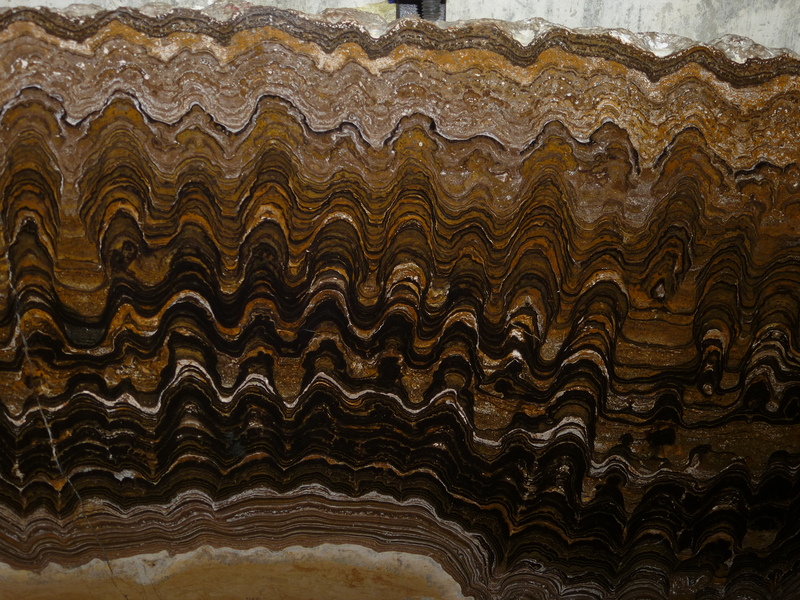 A stromatolite section in the evolution bit of the Museum. Stromatolites are the earliest “fossils” on Earth, dating back about 3.7 billion years ago, and are the remnants of layers of cyanobacteria (“blue green algae”) built up over years. 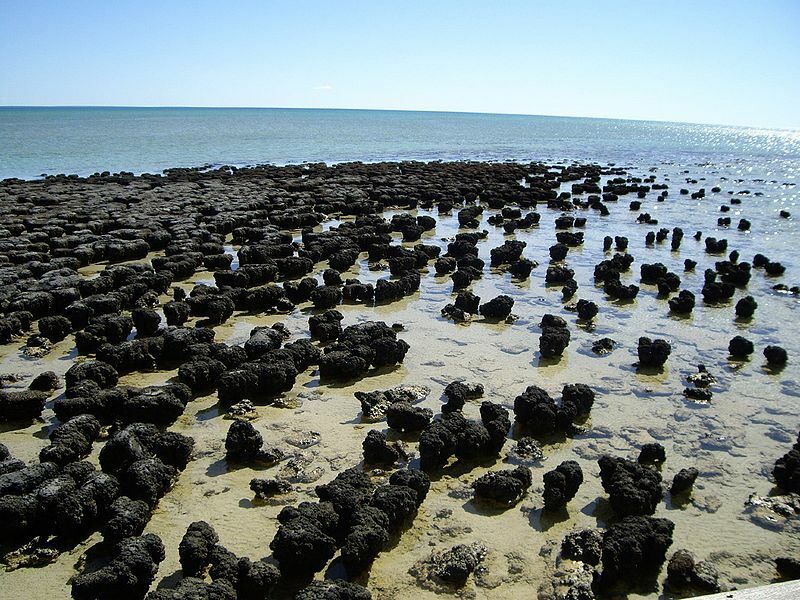 Moreover, stromatolites are still forming in some saline places on Earth like Shark Bay, Australia. Lunch was COPIOUS. 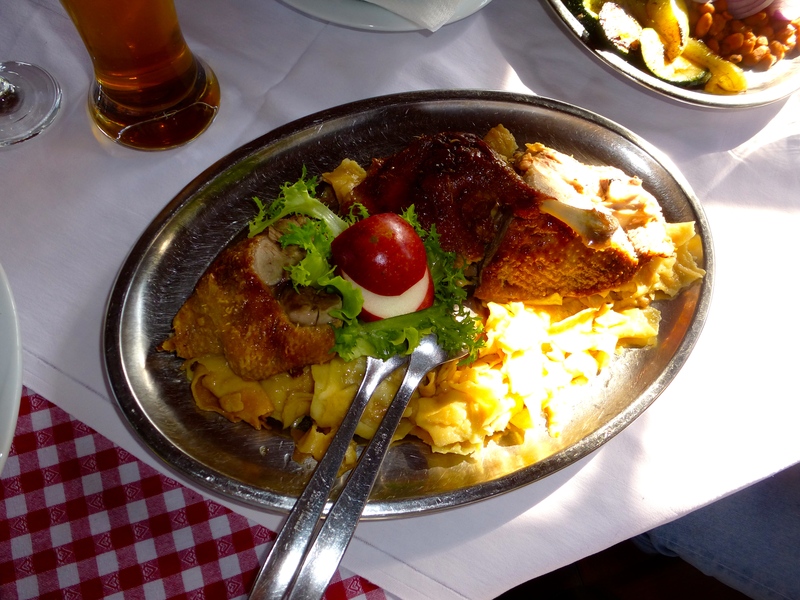 We split three dishes: a Croatia “everything plate” with samples of all kinds of meat, veggies, and potatoes, as well as duck (shoot me now) with mlinci, a type of noodle or flatbread (it’s both) made from flour and eggs, baked, and then boiled. Stay tuned for further adventures. . . This entry was written by whyevolutionistrue and posted on October 16, 2018 at 12:00 pm and filed under food and drink, travel. Bookmark the permalink. Follow any comments here with the RSS feed for this post. Both comments and trackbacks are currently closed. I sure hope Honey doesn’t hear of this. That view from your lunch venue is gorgeous. Sounds like a thoroughly wonderful time. I’d really like to try that crepe dessert. And the pašticada. Heck, go ahead and gimme one of those giant meat platters too. Me too, Mr darrelle ! Golly ! … … what w o n d e r s, Boss ! 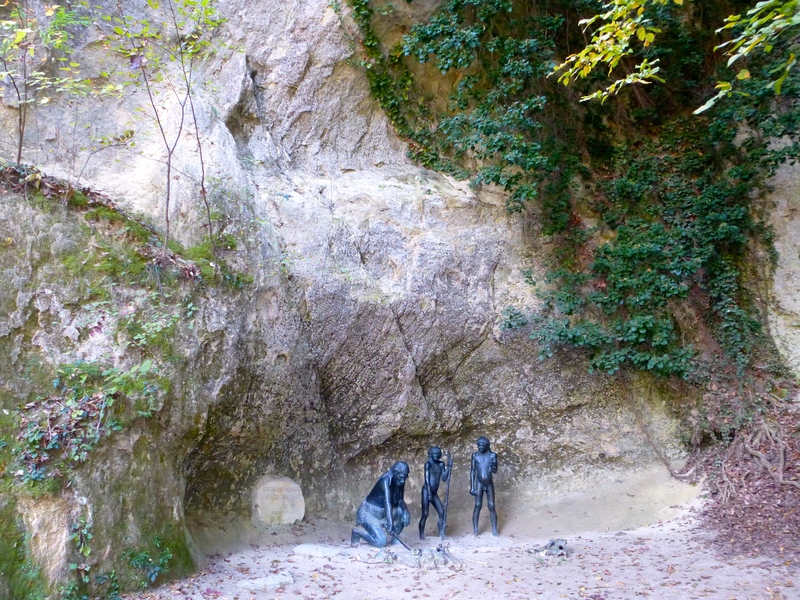 … … family – like Ancients ! HOW interesting for Us All ! … … to spend your Boss’s Day, by the way ! I wonder if visitors enter from below at the centre? The design is silly otherwise. 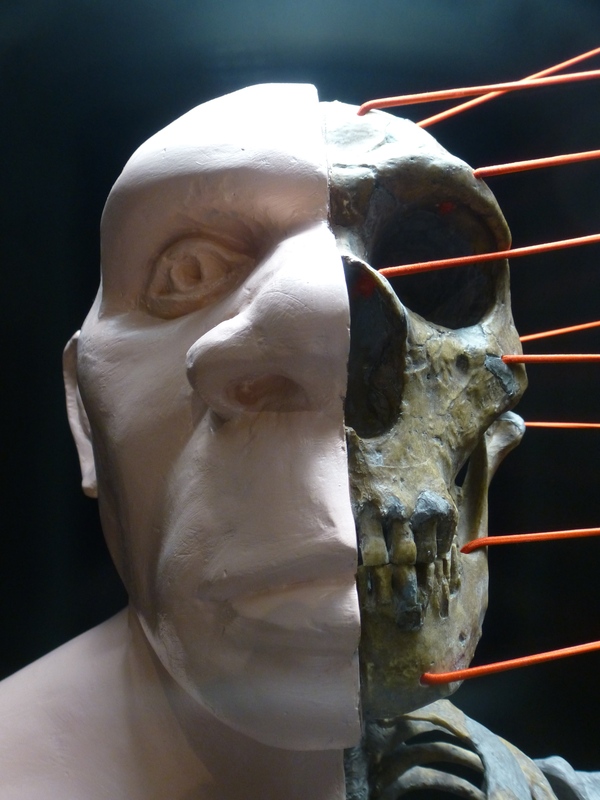 That Neanderthal has a big honkin’ schnoz. Inka Dinka Doo to you, mate. Jimmy in a short tie like Oliver Hardy – perhaps Hollywood code for being down & out? Durante was big in the UK, maybe because of his songs – I don’t think he toured here, could be wrong. Great bloke. Actually Pääbo got DNA from Vindija a nearby and much later site. 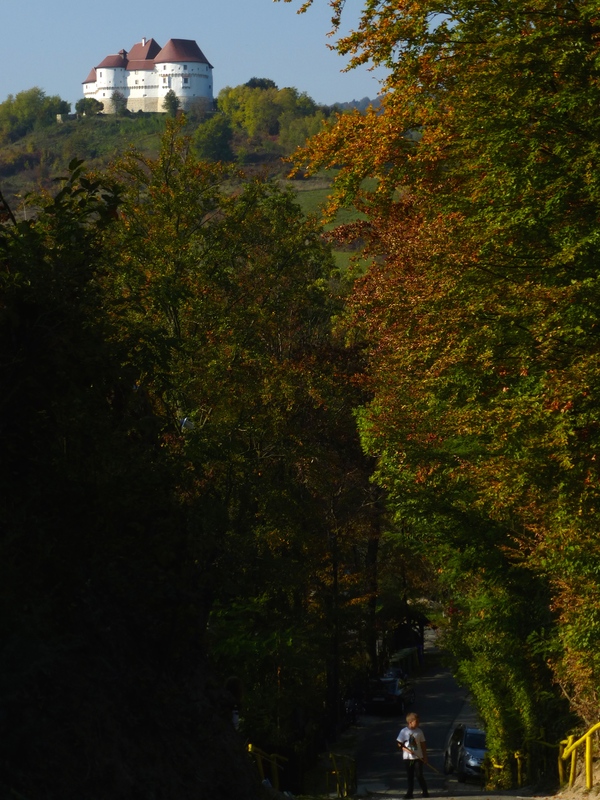 No DNA is preserved at Krapina.Pääbo has tried, but no luck. 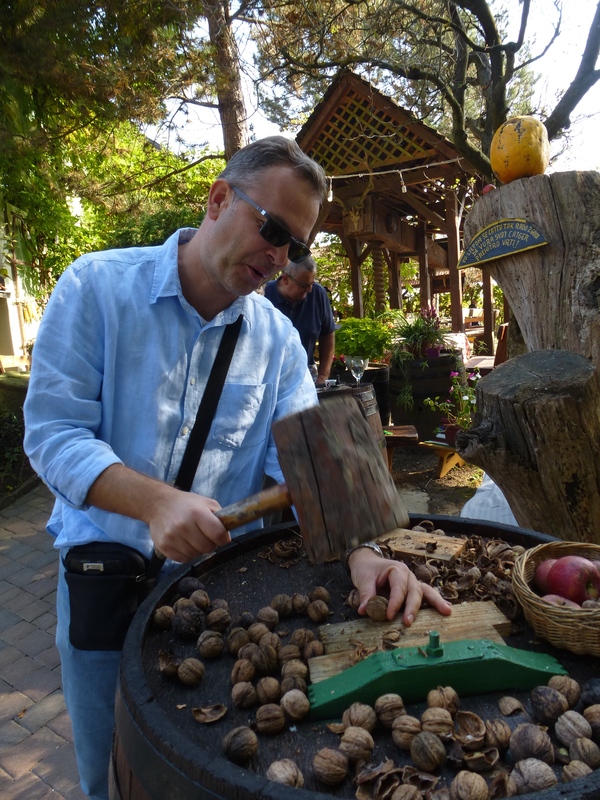 I can tell by the shell Croatian walnuts crack quite well. From the sound of it, it should swamp the Smithsonian in number of exhibits. Hell, I know folk who should have a wing of their own. 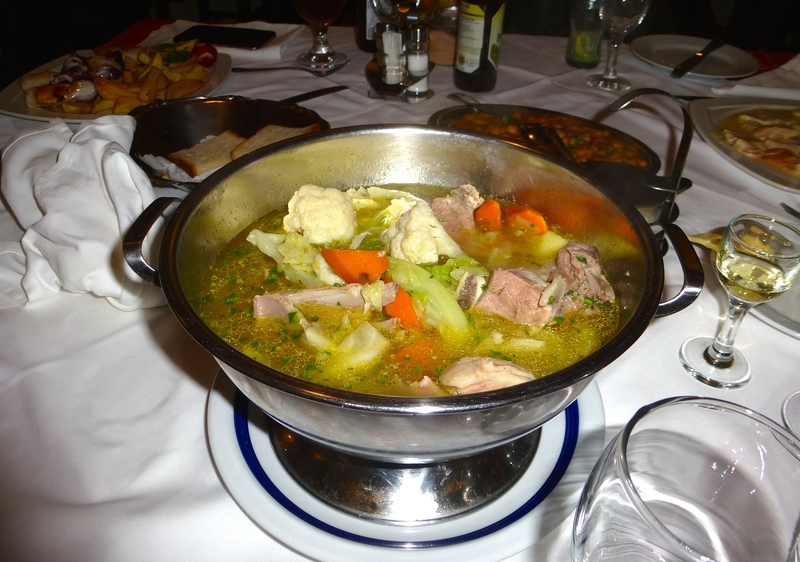 There was a woman named Nada from Dubrovnik who had a Croatian restaurant in Broward County, FL — little joint in a strip mall parking lot, maybe six tables — who used to cook some of these dishes. I used to go there for lunch whenever I had morning court in Ft. Lauderdale. Great goddam food. What gastronomical delights! And there’s a lot to be said about a restaurant’s atmosphere; that restaurant next to the castle looks gorgeous. The description of Pašticada reminds me a lot of Sauerbraten with Spaetzel. And if it tastes anything like a real Sauerbraten, you’re a lucky man. I love stromatolites. They have a simple elegance to them. There are supposedly quite a few large fossil stromatolites not far from me viewable from road cuts but in my geological/paleontological ignorance I wouldn’t know them if I tripped over them. Steve Jones’ book “Coral: A Pessimist in Paradise” mentioned that as well as Shark Bay, there are some in the Bahamas and there are rumors about freshwater lakes in Minnesota that have some but in a secret location to protect them from collectors. Sadly, he doesn’t elaborate on those rumors but it is tantalizing all the same. Ceiling Cat ! That food looks delicioso. It amazes me how much it reminds one of classical French techniques. 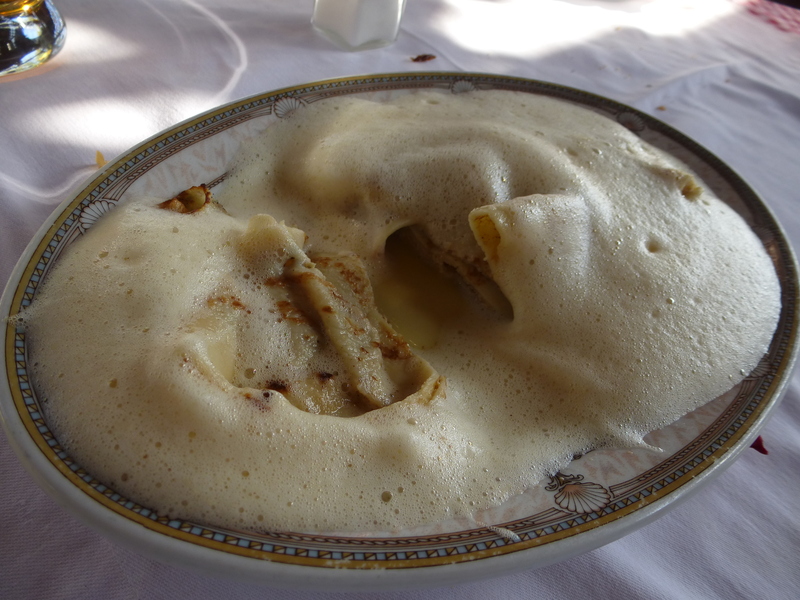 Vajnšatou is pretty much sabayon (a/k/a zabaglione).